Is your mortgage coming up for renewal? 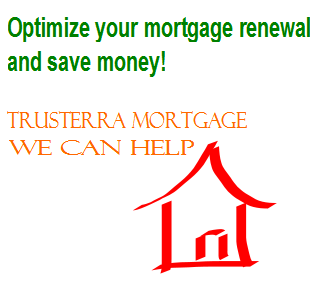 Are you thinking about a mortgage renewal option? Have you considered the option of shopping around for a better mortgage product or mortgage interest rate instead of just staying with your existing mortgagee? Unfortunately many Canadians who are mortgage holders renew their mortgage with their existing mortgage bank / lender. The matter of fact here is that if you work with a Mortgage Professional, such as a Mortgage Broker or Mortgage Agent they will shop around and check to see if there are any other products out there with a better rate for you, therefore greater savings in the long run as well. 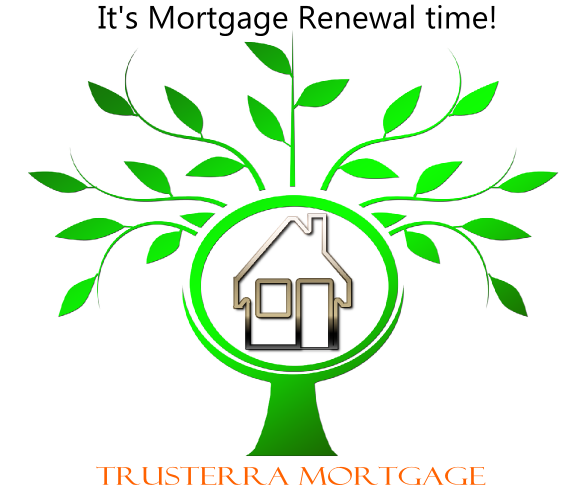 The cost for you to change banks or lenders at renewal time is minimal. Many mortgage lenders have promotions to attract customers from their competitors. Lenders provide perks to bring in more renewal business such as covering your legal and appraisal fees and also paying for your discharge fee to switch your mortgage. Usually the mortgage professional will not charge you a fee either. This is another saving and a win-win situation for you. Canadian lenders can guaranty a mortgage rate up to 120 days before the closing or renewal date of your mortgage. That means that you should start shopping around at least several months before your renewal date to take advantage of any good mortgage rates or products that are out there in the Canadian market place. At Trusterra Mortgage we work with our clients and do our best in providing exceptional and trustworthy service and honest advice for their best interest. What are you waiting for? Contact us and let’s work together in helping you get the best mortgage out there suited for your needs.